A couple of months back Texas Monthly had a story of some deer disease called Chronic Wasting. There were a few paragraphs dedicated to how the fear of it effected deer breeders Terrie and Steve Moss near Chico. Note to Bridgeport: Do you really need four stop signs and a stoplight in your downtown? I got my first official fish over the weekend. That is if you call foul hooking a catfish with a Rat-L-Trap actually catching a fish. Speaking of The Ticket, your weekend programming which consists basically of hockey and soccer coverage is a beating. The EMS vehicles of Wise County have the most tricked up emergency lights ever. One of them is a green circle where it loops into four quadrants. 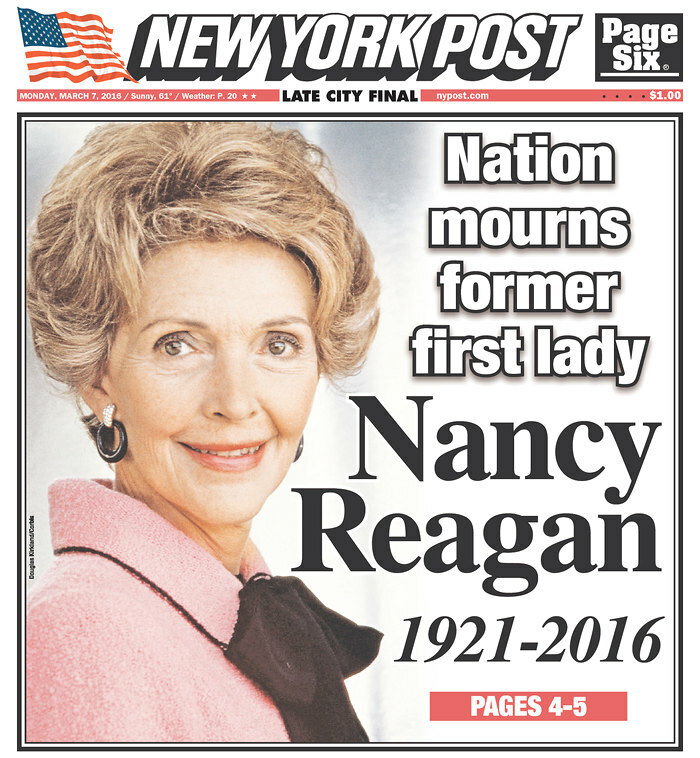 Sad to hear of the passing of Nancy Reagan. 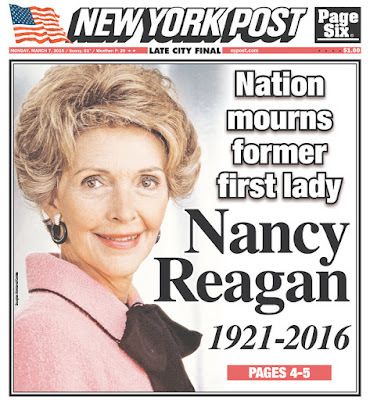 Her often mocked "Just Say No" campaign was genius because we still remember it. There was a Dallas Morning News story over the weekend about how, in a crazy situation, a young lady died of heroin that she was injected with. I will say this: Meth will ruin you life but heroin will kill you. You should have the right to risk death, but you would be an idiot to mess with that stuff. Trump will win Michigan and Illinois and he has a chance to win Florida. It's over. And if the Republicans try some crazy procedural trick at the convention to put someone else on the ballot it will be (1) Chaos, and (2) Cause Trump to go Independent out of spite which will give Hillary a 100% chance of winning. Mrs. LL took a kayak voyage to a small island on Lake Bridgeport this weekend. It was a long way away. And she took The Family Pup with her who was wearing a doggie life jacket. I don't understand this "settlement" between FanDuel and Texas where FanDuel agreed to "stop accepting paid entries." Why totally concede? And AG Ken Paxton is out of his mind. If you don't use FanDuel, you don't care. If you do, you know have him in your figurative cross-hairs as a voter. And credit DraftKings who say they will fight Texas because what they are doing is legal under the federal law based upon the Supremacy Clause. "Idaho pastor shot in the skull after praying with Ted Cruz [on Saturday], manhunt underway for former Marine"